Tuesday, January 22 is the 46th anniversary of Roe v. Wade. We want to honor the anniversary by elevating the voices of those with abortion experiences. 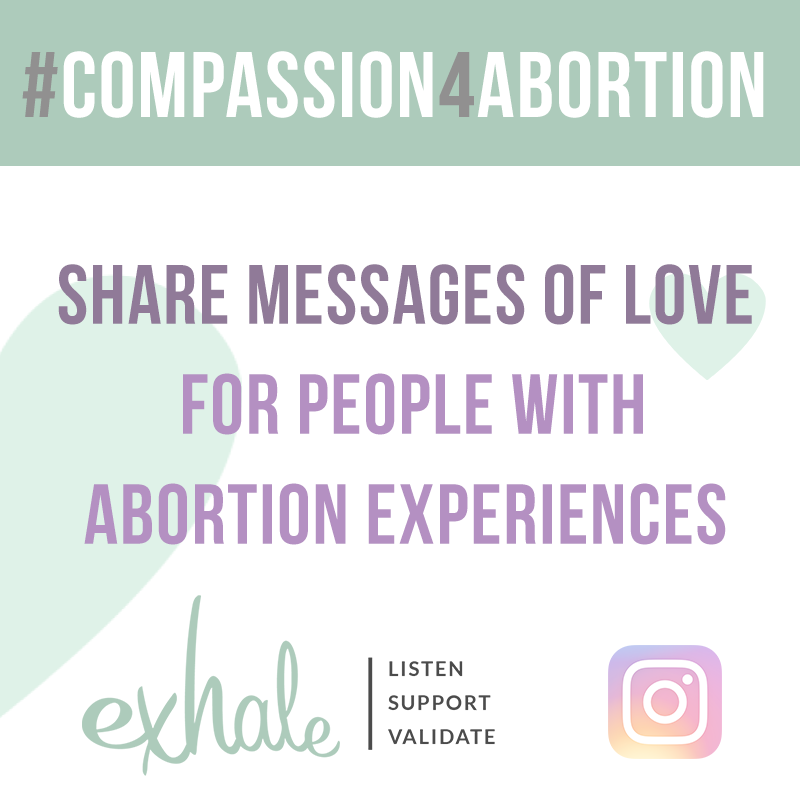 Will you join us as we launch our #compassion4abortion Instagram campaign? It’s an opportunity to combine visual art and the written word on a public platform to build community, end stigma, and share our truths. Join us! Follow us on Instagram at Exhale_Provoice. Each week we will post a new prompt. The first week’s prompt is “Messages to those who have had abortions”.